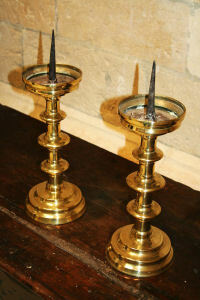 Fine pair of 16th century late Gothic bronze pricket candlesticks of typical, well turned form, fine colour & patina 19” max. high/ 49cms max. high.